Sharing his before and after weight loss transformation pictures to Reddit, the man revealed he lost eight stone six pounds over five years. He explained he was 23 years old, 6ft and started out at 20 stone four pounds. But after pushing himself, he lost an impressive amount of weight, and he was happy to share his tips and tricks. Directing questions to a longer blog post he had written on his weight loss, the man revealed his name is Giovanni and he lives in Australia. Explaining how he got started, he wrote: “I started weighing myself daily and logging my weight through a free app on my phone. “I was also using another app (also free) to track my daily meals which conveniently gave me the option to scan barcodes and input very specific details about my meals. He lost just over two stone in two months with this simple plan. But he wasn’t done there. After suffering a mystery illness, he went gluten free, eating “chicken, veggies and brown rice” every day. He also hit the gym, using free workouts every day. He got down to 14 stone following this strict plan, but his goal was to get to under 12 stone. 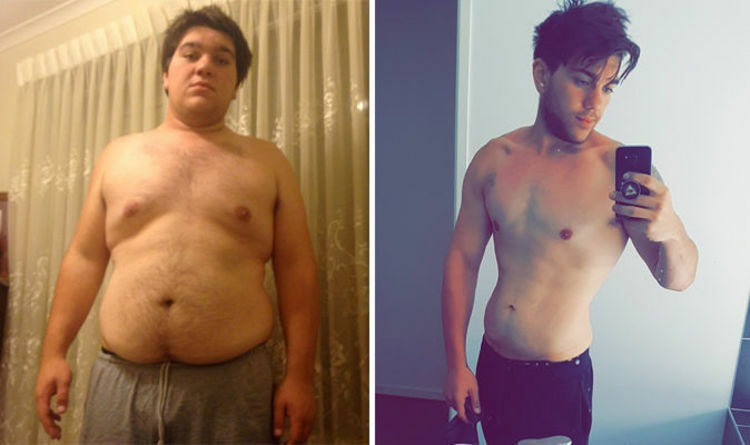 He hit his goal weight, and shared an update one year on. Sharing his top tips, he said: “The best diet I have ever been on is the plant based diet. “There will always be dark days, it is nobody’s obligation but yours to keep sticking at your goals.